I’ve spent the last few days appliqueing circles–not my favorite thing, but not that bad, just time consuming. The number 7 stitch on my Elna made it quite easy. And, it’s paid off. I love the results! 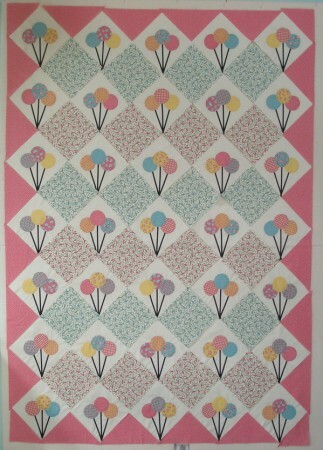 This is the sample I’m doing for Quilt Market with my new fabric line called Sweet Pea. Eventually it will be a free pattern. 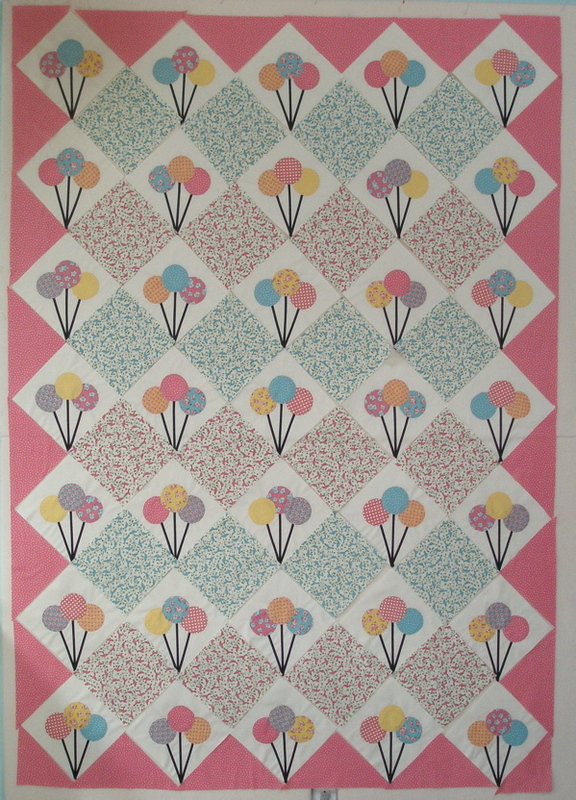 I posted about the line on the My Quilt Village blog this morning, but I didn’t have all the blocks done then. At this point, it’s just up on the design wall. I still have to decide on borders, but first, I’m off to get these blocks sewn together! 10-31-2015 / Cranberry Sauce – Easy as 1, 2, 3!